First you feel it! OUCH! Parts of your body begin to feel numb! Being stung by a scorpion is nasty business, but once you’ve been stung, what do you do next? Most individuals stung from scorpions will not suffer an allergic reaction. 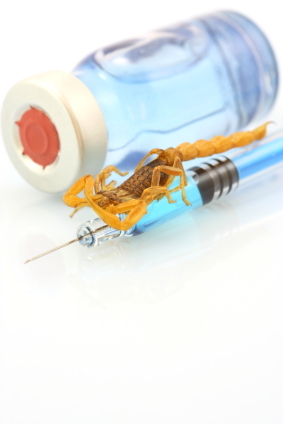 The human body can metabolize the neurotoxin injected by the Arizona Bark Scorpions under normal conditions. It becomes deadly when combined with allergic reactions. Some individuals’ bodies simply overreact to the toxins, sending them into afilactic shock. Afilactic shock makes breathing very difficult. From rapid breathing to complete shut down of the lungs, individuals will actually die from suffocation. The anti-venom eliminates the plasma venom and within four hours those that were suffering severe reactions are cured. Antivenom therapy is available for the Centruroides species (bark scorpion), the antivenom (Anascorp) was approved for use against the bark scorpion sting in 2011 by the FDA. It is made by immunizing horses (or goats) with venom and then antivenom (immunoglobulin) is harvested from animal blood. Antivenom may stop all symptoms within about 4 hours after administration. Researchers are developing antivenom to other scorpion species. Symptoms may require hospital admission for 24 hours of observation, especially for children. Consult a doctor about treatment. Most infants, small children and the elderly, especially if they are stung by a bark scorpion, which inhabits large areas in Arizona and New Mexico, should be seen quickly by a doctor since some of the severe reactions occur in these populations. However, anyone who experiences severe symptoms after a scorpion sting will need immediate treatment in an emergency room. Regular scorpion control or pest control services around the exterior of a home is the first and foremost step in scorpion control. Consistency is the key here as scorpions trouble neighborhoods. 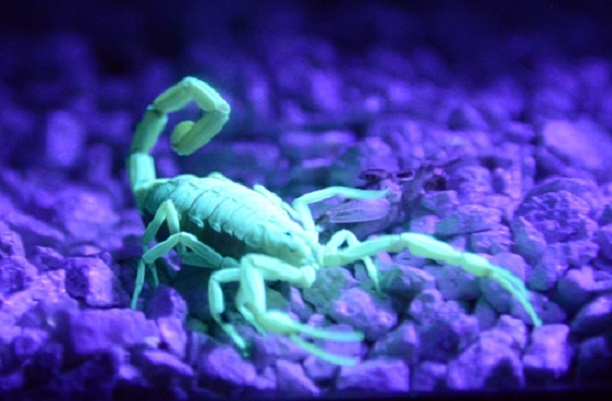 We will never be able to rid an entire neighborhood of scorpions, but you can keep them from infesting your home and property with regular professional treatments.